The graduate: a love letter on the day of graduation. Anyway, what was I saying? I am grateful for that seemingly insignificant choice at the time. It seemed like the only choice. 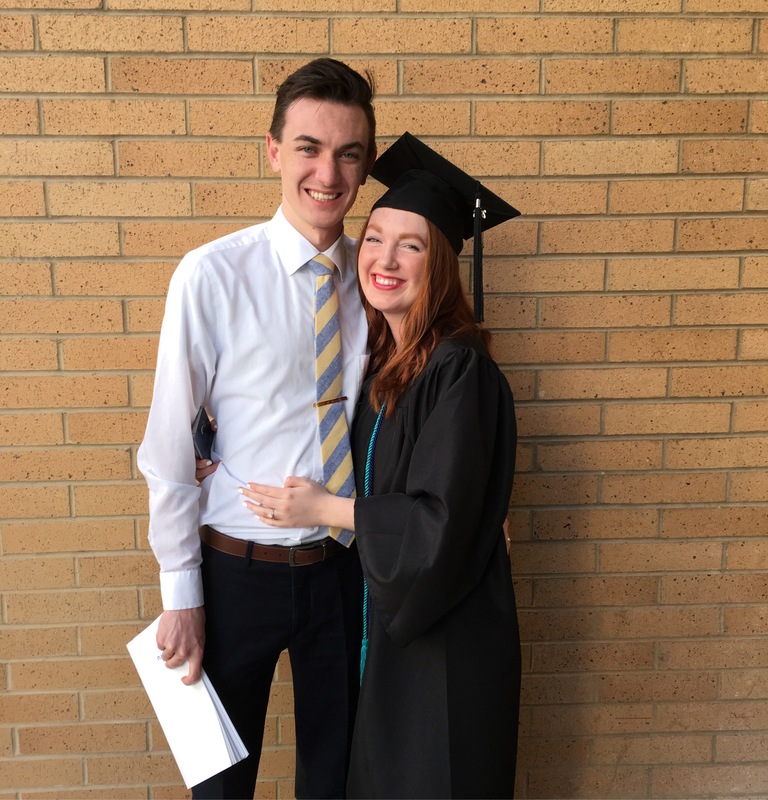 I felt like I was a lame loser because several people would say passive aggressive things like,”There’s a sweet spirit there” or “Did you not get into BYU?” First off, “sweet spirit” in LDS culture has grown to be taboo. Being the sassy 17 year-old that I was, I was well acquainted with all of it. Secondly, I was tired of being in a small church (branch for you LDS peeps) where everyone knew everything about my stellar older siblings. (And oh, I’m being sincere! I love them). At one point, I had one person in the asking me what my ACT score was. Awkward. This all made for very bitter resentment towards my growing love of BYU-Idaho. Luckily, I have wise parents. They took me to see the campus. I am no dummy. I prayed to feel at peace with the decision I had made. (Mind you, I was still in high school at this point). I went up to Rexburg with two of my trusty red-headed siblings, who shall not be named, and we had a wonderful time. At this point, someone said that if I wanted to I could eventually transfer to BYU. My sister bet me I never would. She was right. I few months later I began my journey at Brigham Young University-Idaho. There as a freshman I remember feeling sick (you know, like homesickness! #dontleavemeherewithallthesestrangers! )because of the love I had for my parents. It was only while they were still there. The second they left, I was filled with the Spirit. I knew I was meant to be there (or here)! This doesn’t mean I don’t love my parents just as much. I do. Sorry if this is too corny. I knew (in my freshly 18 yr. old mind) that somehow this place would change me. Over the course of the next five years there were highs and lows. Yes.. I didn’t graduate in the perfect 8 semesters they recommended for me. I didn’t figure out what major I wanted in my first year. I finally settled on Communication with an emphasis in Public Relatuons (module in Advertising!). I did well my first year. Bad my second. Got addicted to working out as a sophomore. Dated some jerks. Was a jerk to some people I dated. I literally ate more Taco Bell that I will ever admit. There was one semester when I was probably going out to eat everyday. (Again… Sorry, mom). I Had some awesome friends– had some terrible friends. I also had some of the best roommates ever by chance– but it probably wasn’t by chance. Oh yeah, I got married. CJ was probably one of the biggest moments, as well as the biggest blessing for me. He was the continued reassurance that Heavenly Father was so aware of me while I was here. After we were married, I realized that I could be like him and achieve bigger things. I could strive to be better than I currently was in academics. He helped me to get better grades and want to become better in every capacity. So, thus became me being busier than ever my last year and a half in school. Oh yeah, then I got really good grades. I guess the point of all this mumbo-jumbo is this– schooling pushes you to be a better person. I am a better person because of my belief in God, the Eternal Father, and His Son, Jesus Christ. While studying at BYU-Idaho, I was able to draw nearer unto them. I’m not saying it’s a one size fits all solution! As we strive to do what is right, God will make our path clear. I’m grateful for the opportunity to learn more about Him through the experiences I’ve had while attending this school. It will always be tender. Courtney, I love your messages. The process of finding out who you really are is so amazing. Some people never do find themselves. Your life will only get better and better because you have a compass to direct you. The future is yours to conquer!